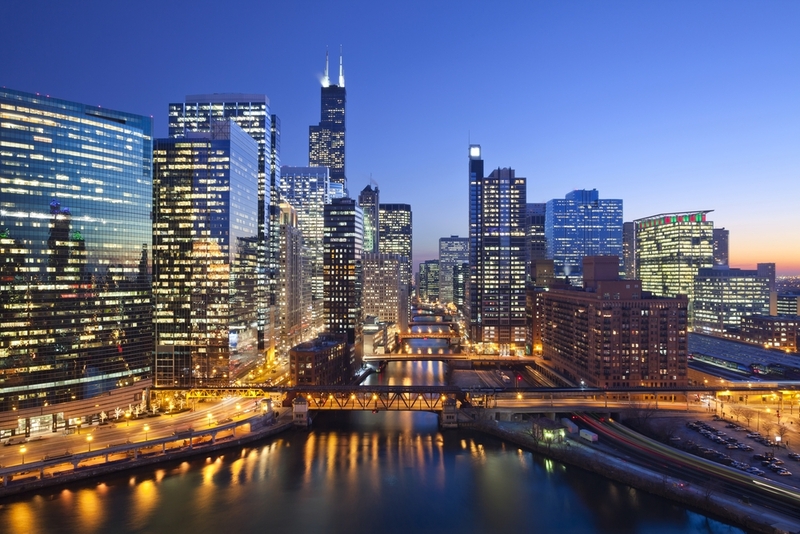 Chicago is an enchanting and dramatic city, with a lot to offer any traveller. From breathtaking architecture to provocative street entertainers, there is plenty to do and see amongst the skyscrapers. If you only have a weekend to spend in the Windy City, here is a beginner's itinerary to make sure you don't miss the best sights and experiences. Home to Sue, the most complete T-Rex skeleton ever discovered, The Field Museum is a must-see for any first-time visitor to Chicago. With many natural and historic wonders to behold, you'll need to be careful you don't accidentally spend the whole day wandering the halls! After being on your feet all morning, recover your energy with a world-famous deep-dish pizza for lunch. A well-known and much-loved Chicago classic, Giordano's has worked for more than 200 years on perfecting the recipe, to ensure each bite of this local delicacy is one you'll never forget. If you time your visit right, the afternoon will be a good time to sit down to game of top-class baseball. While they may not be the most successful team, the Cubs are sure to put on a good show in their home stadium, with the atmosphere being most of the fun at Wrigley Field. As the sun sets, head along to The Second City, Chicago's most popular comedy club. Depending on the day you arrive, you can enjoy either side-splitting improvised entertainment or a more structured show. Perhaps the best way to check out the city's stunning buildings, a river tour from the Chicago Architecture Foundation is a great way to kick off your second day. Cruise the river for 90 minutes while your trained and informative guide points out the main attractions along the world-famous skyline. Highlights of the tour include travel aboard Chicago's First Lady and a comprehensive history of how the skyline grew and developed from a small back-country outpost into one of the world's most iconic cities in less than 100 years. After the boat tour, you'll be dropped off in the perfect location to wander the city's best shopping strip – The Magnificent Mile. Whether your budget allows a purchase or you're restricted to window shopping, it'll be worth a wander down Michigan Avenue to experience the urban hustle and bustle of life in Chicago. Visit the iconic Disney store, experience Bloomingdales or pick up a Tiffany gem. Alternatively, if shopping isn't your style, you can enjoy the many architectural highlights along the mile, including the beautiful and intricate Michigan Avenue Bridge. For lunch you can pack a picnic and enjoy the great outdoors in the heart of the city. Millennium Park is a great location for a pre-packed sandwich, and you might even be lucky enough to catch an afternoon show at the Jay Pritzker Pavilion. Make sure you check out the Cloud Gate, better known as the Bean, and get a cheesy photo of yourself in the giant silver structure before you leave the park. Make the most of your last sunset in Chicago by climbing the Willis Tower – formally known as the Sears Tower. Watch the lights come on in the city below from The Ledge, an exhilarating glass-box observation deck that extends four feet out from the building face. What better way to complete your weekend in Chicago than surveying the iconic skyline from 103 storeys above the ground. You just have to pluck up the courage to step out onto the glass!